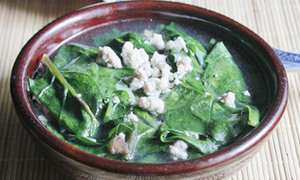 Minced Pork with Asia Spinach Soup (Canh Thịt Nạc Xay Rau Mồng Tơi) is a new dish added to our Vietnamese Soup Recipes today. Getting tired due to hot weather or having a sore throat? No worries, today I recommend this recipe for your meals as it can be quickly cooked and easy to be consumed. Like many other Vietnamese Soup Recipes, this dish can make your family members eat all the food with appetite. 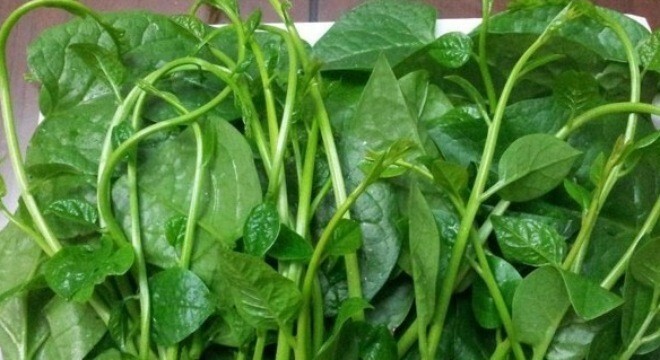 The soup is sweet, fresh and nutritious so let us start making it now. Step 1: Take the leaves only and wash them then let it dry. Step 2: Clean and mince or grind the pork. Wash then slice the dried onion. Step 3: Heat up with 2 spoons of cooking oil, add dried onion in then fry it, add the pork in and stir fry until it is cooked. Adjust with some salt, sugar then mix them all. Next step will help to complete one of our delicious Vietnamese Soup Recipes, add to the stove 2 bowls of cold water; boil it. 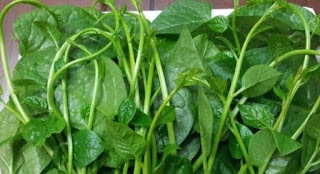 Step 4: Then add the Asia spinach at the end, adjust with a bit of salt, wait until it is boiled then continue adjusting. Turn off the heat and prepare to serve. With only 4 simple steps, this recipe among many Vietnamese Soup Recipes is easy to prepare and process and the ingredients are not so hard to find. 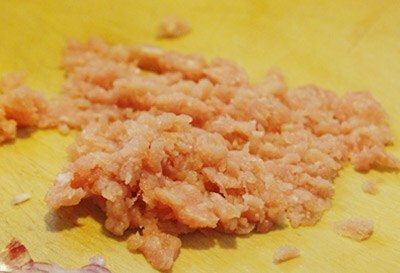 If you have kids, Vietnamese Food Team believes this recipe can help them to digest easily especially those who are sick or having problem with food digesting.